In a school community of roughly 500 students, rather than the 50,000 in New York, it becomes much easier to make friends. Whether in class, in dorms, or anywhere beyond and between, meeting people at NYU London has been nothing short of exciting and rewarding. Friend groups grow as friends of friends start hanging around, and soon all of you are packing your bags to travel to some delightful corner of the world, together. There is never anything wrong with large groups, but there are good and bad ways to approach traveling when there are ten or more people. 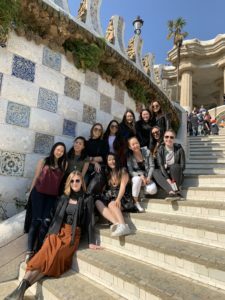 After taking a weekend trip to Barcelona with eleven lovely ladies, I have learned that there are very clear dos and don’ts when it comes to traveling in a group for the weekend. This comes up most often at mealtimes, when trying to find a restaurant to accomodate twelve people became a very difficult task. Therefore, reservations are always the way to go. No matter what happens on the trip, whether you actually make the reservation or not, having a backup option to fall back on never hurts. Even if you do plan ahead and book things to do and make six food reservations for the weekend, things are bound to go wrong. Someone misses their flight. Someone loses their phone. Someone gets sick. These things are inevitable and avoidable. The most important attribute to bring on your weekend trip is flexibility and the ability to roll with the punches. It is not always easy, but you have to remember the beauty and excitement of where you are and what you are doing and suddenly, no problem is unsolvable. 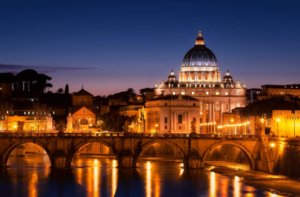 Juggling costs while studying abroad is hard enough. Trying to imagine the costs of traveling on the weekends and splitting them among twelve people gets even harder. This comes up most during mealtimes when an extra large bill comes to the table of fifteen people and you have to worry about splitting. Plan for this situation beforehand. See if anyone is comfortable putting the whole sum on their card, and everyone else can venmo in their share. Maybe discuss splitting it among a few people, and everyone else venmo one of them. To avoid anyone feeling uncomfortable or insecure about money or paying, have these conversations beforehand. In such a large group, you are bound to break up into smaller circles at some points in the trip. People will want to do and see different things and this should be encouraged rather than disputed. This makes for easier traveling and allows everyone to see what they want. It also allows you to connect with different people than the usual people in the group you talk to. Also, with every trip, you have to go into it knowing you will never do and see everything, and know that is okay. 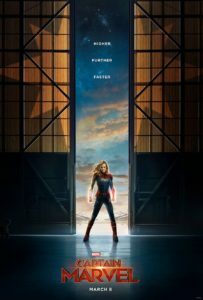 It just means you always have a reason to go back. Making fast friends is amazing and you may find some of your best friends this way. However, it is important to establish that you feel undeniably and completely comfortable with at least one person you are traveling with, especially when alcohol is involved. Awkwardness fades away when you live in close quarters with your new friends, but confirming that at least one person will be concerned with what and how you are doing, makes for an easy and comfortable trip. Just because you travel with one group once does not commit you to them. You can always be thankful for the experience and move on to a new group of people or take a solo trip. It is important to keep in mind that you got to visit a beautiful place regardless of how the experience unravels. You are never tied to one person or one group and should never feel indebted or tied to something that does not make you happy. Learn from every trip you take and start planning the next one! Coco Chanel once said “that fashion is not something that exists in dresses only. 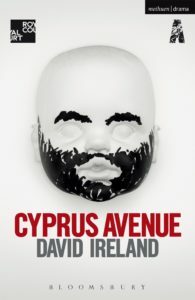 It is in the sky, in the street, fashion has to do with ideas, the way we live, what is happening.” In other words, fashion is not solely based on the physical clothing that we wear but is based on the different personalities and unique cultures that are embraced in each location. 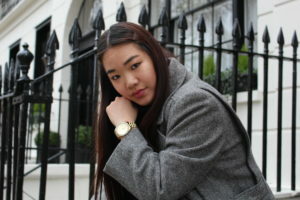 New York fashion trends are what we, as NYU students, are mostly familiar with but are those trends also frequent here in London? What do we know about London? Being able to explore this beautiful place for the past two weeks have really shown me the differences of fashion and how it has diversified throughout the world. You might be wondering why fashion is so important? Fashion is an element of showing your style and the way you want to express yourself. Fashion can send a message and might even speak to unpredictable people. Of course fashion is different to everyone but I strongly believe that it is a way for people to express who they are and show their style through the way that they dress and hold themselves. The first thing I noticed about London is its rainy conditions and the frequent cold wind. This isn’t as different in comparison to New York City, but being from Los Angeles in Southern California, there was a major transition. 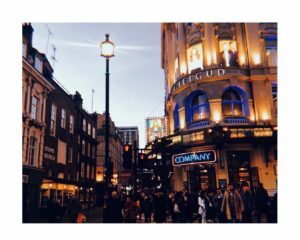 In comparison to California which includes frequent hot beach weather, London differs drastically and the fashion trends that appear in each location are ultimately tied down to its weather. 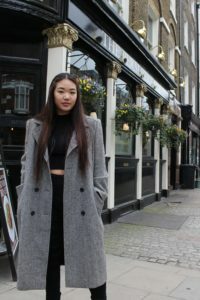 I noticed that London has trends that involve longer coats like trench coats that will keep Londoners warm throughout their day – always having an umbrella at hand and usually wearing leather or black boots. London, unlike the eccentric style that New York City encompasses or the bright bubbly style that SoCal might have, has a more business style. Not only is the weather an essential part in carving each fashion style but the “vibe” that each location has is also vital to each particular style. It is the way that people want to be seen and how they want to hold themselves. A specific “vibe” seems to exist when there is a group of people, each with a personality and perhaps a mission. To reiterate, New York is seen to be more “modern” and perhaps a bit more “eccentric” and “spontaneous.” New York style can range from all different colors like red, yellow, and deep blues. 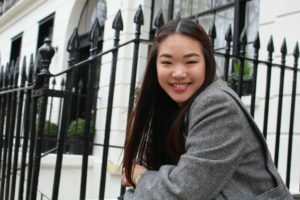 London, on the other hand, might be a bit more simple and plain but regardless still very stylish. I decided to come up with an outfit that is my representation of London Fashion. 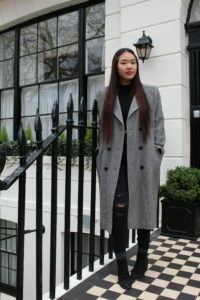 I chose to wear a long dark grey coat that I bought from a vintage thrift store in New York City, added black pants, a black turtleneck, and black booties. Since the trend in London is more dark and business-like, the outfit was dark and simple which is an addition to the rainy, cold vibe that London has. So after just one location and one trend was paired and identified, we can conclude that Coco Chanel was right. Fashion is not just the colors and the baggy pants that we wear, but it is also in the sky and in each unique culture. Instagram is, without a doubt, the app that I find myself perusing the most. I like to follow a bunch of accounts that produce a reasonable amount of content, so that I am neither flooded with posts (@highsnobiety), nor constantly refreshing my feed in search of new information to look at (@kyliejenner). Instagram has helped to change the fashion world and bring high brow haute couture designers into the mainstream. Models, designers, and fashion houses have accumulated millions of followers and inform the general public on the latest fashion trends. As someone who is interested in both fashion and pop culture, I love finding new Instagram accounts that are entertaining and informative. 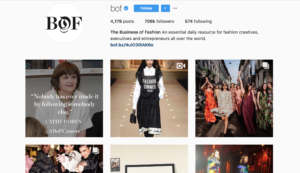 If you have found yourself in search of new accounts to expand your fashion knowledge or general cultural knowledge, I have comprised a list of some of my favorite Instagram accounts at the moment to help you out. The Business of Fashion is an Instagram account that is “an essential daily resource for fashion creatives, executives, and entrepreneurs all over the world.” They post daily about the happenings within the fashion world and have a special #FashionFactsFriday that features a specific item or term, from harem pants to drape, and gives a background and history lesson on it. Their content is informative about the current affairs within the high fashion world, business wise and in terms of various fashion campaigns. 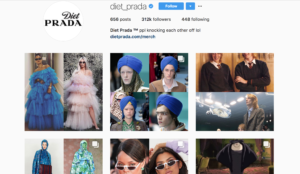 Diet Prada is probably the best account to follow if you love fashion drama. Their mantra is “call it out,” and they post side by side photos of knock off designs and their original inspiration. They have been lauded by the likes of Naomi Campbell, Pat McGrath, and Gigi Hadid, and they have been blocked by numerous embarrassed designers. One of their more iconic moments was when Stefano Gabbana asked them to say sorry to him after they exposed him for copying a dior design. I recommend this account to everyone, as it is both entertaining and educational. Ava Nope (Nirui) was recently appointed Helmut Lang’s editor-in-residence, and her experimental and undeniable cool girl style makes it clear why. 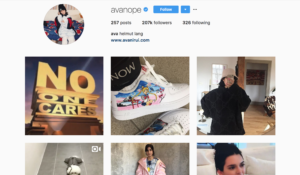 Best known for her bootleg designer works (think bejewelled Louis Vuitton inhaler) and custom Air Force 1’s, Nope has capitalized on society’s current logo obsession, but her name brand exploitation is designed to remind the consumer of the ridiculousness of it in the first place. Whether it is her outlandish street style that every fashion blogger tries to emulate or her quirky and bona fide fashion sense, Nope’s content is sure to spice up your feed. What exactly Luka does is somewhat unclear to me, but why he is a successful Instagrammer is without question. His style is cutting edge and pictures of him are probably ample on your favorite blogger’s mood board. Whether it be rocking jeans with Vetements written on the crotch with a pair of snakeskin cowboy boots or wearing the brands that are about to rise to popularity, he is effortless in his pursuit of fashion. His account is a perfect mix of fashion and character, as there are plenty of pictures and stories of him hanging out with his friends (Bella and Tyler and Jordyn). 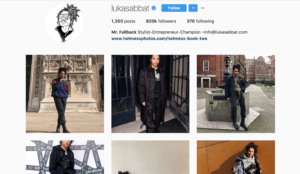 I would recommend Luka’s account to anyone looking to follow the source of street style culture. Overall Instagram is a versatile tool that can promote business, share news and inspire trends. I am always on the lookout for new people to follow so I would love any and all suggestions.